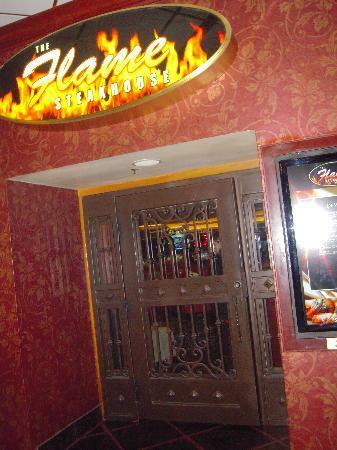 Home »Posts Tagged "Restaurant Reviews"
Writer’s Note: The Flame Steakhouse closed its doors for the final time in 2014. The replacement restaurant at the El Cortez is not recommended. Finding a delicious “trout almondine” is next to impossible outside of New Orleans. Or — so I thought. Then, I dined at The Flame Steakhouse which is the gourmet restaurant inside the time-warped El Cortez Casino in downtown Las Vegas. I ordered and then devoured a Creole delicacy that was every bit as tasty as the world-class fare served at Antione’s, Galatoire’s, or Arnaud’s in the famous French Quarter. In a city that has become dominated by flash-in-the-pan “celebrity” chefs and ridiculously-overpriced Haute cuisine, it’s refreshing to a experience throwback to a time and place when all that really mattered was great tasting food served at a reasonable cost in a comfortable atmosphere with reliable service. Sadly, those fundamentals are lost in what has become a sea of snooty waiters and obscene South Strip prices, which so often meet their well deserved demise. Perhaps that’s what makes The Flame Steakhouse so enduring and consistent. Very little changes. It’s good – all the time. And since that first visit many years ago, I’ve dined here perhaps 50 to 60 times – always leaving both satisfied and with the feeling I got a bargain.